July 13, 2016 - What motivates a young giant panda? Food, of course! And that's what the zookeepers at the Smithsonian's National Zoo use to reward Bei Bei the panda cub as he completes training tasks. Bei Bei, born on August 22, 2015, isn't quite old enough to eat bamboo like his older sister, Bao Bao, and parents, Mei Xiang and Tian Tian, but he sure loves sweet potatoes (and has recently acquired a taste for apples). In this exclusive behind-the-scenes look, see how and why zookeepers are training Bei Bei. 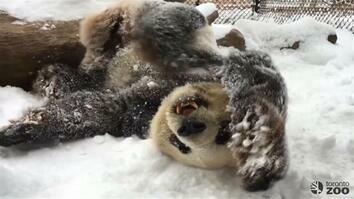 Read more about Bei Bei and see exclusive photos and interactive graphics of his growth. 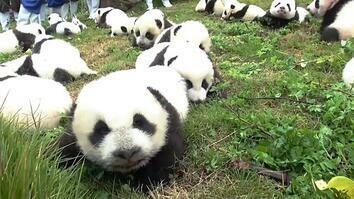 Read the National Geographic magazine story on rewilding pandas in China. 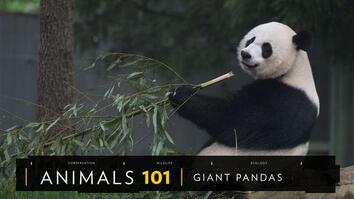 Learn more about giant pandas.